After 12 years of laughs and 12 seasons, The Big Bang Theory is set to come to an end this May. The series that we've all grown to love, will wrap up on May 16 forever and it's fair to say both the cast and the fans are feeling emotional. 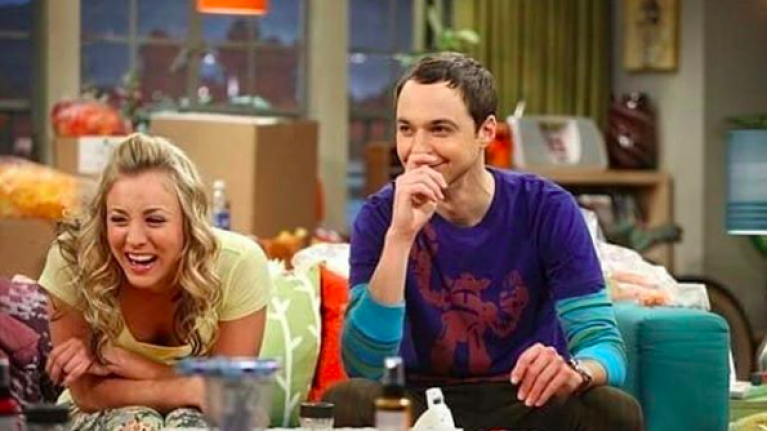 Last night, Kaley Cuoco, who plays the lovable Penny shared a throwback to when it all began. The pilot episode in 2007. Kaley, who is obviously going to be heartbroken once the series ends recently revealed that she has taken thousands of Polaroids on set capturing those candid moments since the very beginning. Kaley hopes to take the photos and create a coffee table book for fans filled with all the incredible memories and moments that have made the series so iconic. With just three tapings left to go, Kaley isn't the only one who's being hit with sudden realisation that it's almost over, Kunal Nayyar, who plays Raj Koothrappali too admitted to feeling very emotional. "I finished Monday and shot on Tuesday, same thing, and then I had a week off and the whole week I was like, “What is that? What is that?” and I just realised that I was sad. I’m just sad." Someone pass the tissues - we're not ready for this, not yet.